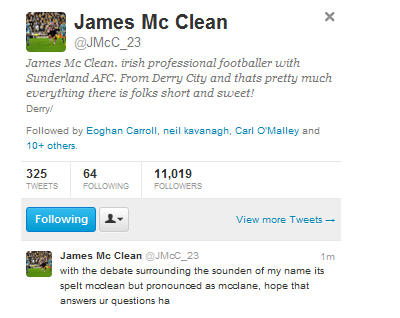 James McClean comes forward to reveal the way his name should be pronounced - think Die Hard, not McDonald's cleaning solutions. The people on Sky were right, sadly. But can a person be wrong about how their own surname is pronounced? I'm sure it sounds correct when said in a Derry accent.